This entry was posted on Tuesday, June 2nd, 2009 at 10:48 am	and is filed under Hardware, Phone. You can follow any responses to this entry through the RSS 2.0 feed. You can leave a response, or trackback from your own site. This phone support 3G or HSDPA? Nomia and iPhones are the ones to beat. This unit is definitely a top contenter but sad to say not there yet, needs to improve a bit more. Imagine a phone that battery can last for just an hour? give me the name of the phone and a link to the phone showing a picture and/or a description. Cool! thanks for the share. i am getting a cell phone soon and want to buy this one if you have any idea please tell me. i love HTC phones! windows mobile powered phone.. but that's not appropriate for stay at home moms. The HTC Hero looks very cool. I love the Sense UI. Windows Mobile is a dead OS as far as I am concerned. The iPhone as the app store behind it. I don't see anyone matching Apple anytime soon. I love my iPhone, nobody else in the world could replace it or have that functionality! Simply the best, but HTC looks very promising.. I heard so many god thing regarding HTC phone there are advantages and disadvantages from this phone, but still I have to go with iPhone. HTC phone has now becoming popular on the market because of its new and unique features.. 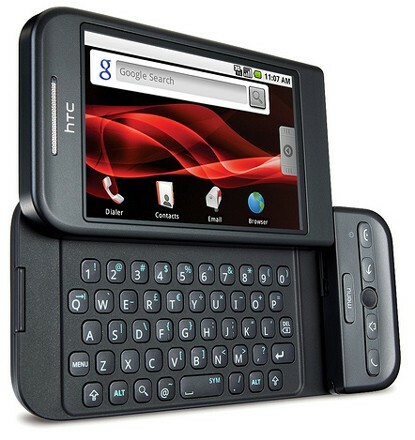 I am so confused,so people say myTouch 3g,some people say HTC magic.And some say HTC hero,some say it's G2! so are they 4 different phones? or what? Hi, Lot of people like Nokia Why? Because They don;t know about HTC..Thanks For Information. I have no doubts about what you said here, I completely agree!